Heroes, Heroines, and History: What would make you abandon the country of your birth? What would make you abandon the country of your birth? Winner of the Drawing for a free copy of Forsaken Dreams is Joy Isley!! Congratulations,Joy! 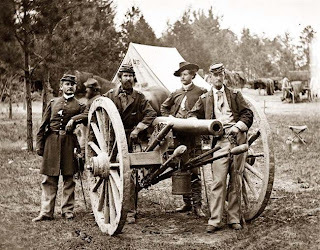 Those of us who love to learn about history, often find the Civil War in America fascinating. Not because of the cruelty and death, but because a nation could be so torn apart on the issues of slavery and economics that they saw the need to split into two nations and fight brother against brother! Even more remarkable is that, despite the animosity and hatred, history proves that the two halves became a whole again. Surely the hand of God played a huge role in that. The post-Civil War South was unrecognizable. In addition, almost every family mourned the loss at least one relative in the war. Then to make matters worse, Congress declared 150,000 leading Southern citizens guilty of treason without a trial and denied them rights of citizenship. Many Southerners felt that had no choice but to leave. So they did!! Three million people migrated from the former Confederate States in the decades following the Civil War. Most moved to sparsely settled lands in western North America, to the larger cities of the north, to Canada, and to Mexico. But some went to Brazil’s golden shores!! We don’t know how many actually went to Brazil because few had passports and they just boarded ships and went down. However a study of available figures, newspaper reports and data gathered from descendants makes it safe to estimate that at least 20,000 Southerners came to Brazil Their descendants now number over 100,000 and are spread over the country. Most of these “Confederados”, as they came to be called, were professional farmers and planters. However, others included generals, admirals, governors, senators as well as mechanics, machinists, preachers, teachers, and even a few freed slaves. In fact, you may find it interesting that a few miles outside the Brazilian town of Santa Barbara, at least four times a year, a group of people gather at a small chapel and cemetery in the middle of sugarcane fields. What’s so weird about that? They are all dressed in costumes of 19th century America, sing old Protestant hymns and listen to a sermon. 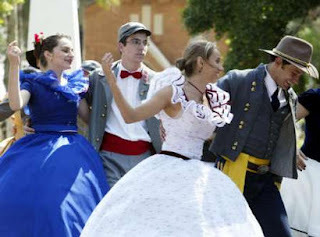 Afterward, they share a meal of fried chicken and biscuits and gravy and dance to the tune of Dixie. If you look real close, among the Brazilian features, you may find some blue eyes here, some red hair and freckles there and you may even hear English spoken instead of Portuguese. These are the descendants of the Confederados who fled to Brazil after the Civil War. And this is the history upon which my new series, Escape to Paradise is based. Disclaimer: I am neither in favor of the North or the South. I abhor war and slavery and am proud of my country for finally freeing the slaves. Death and atrocities occurred on both sides of this war. However, my series is told from a Southern perspective. Don’t miss book 1 in my Escape to Paradise series, Forsaken Dreams!! Great post, MaryLu! It's really sad how you felt the need to post that disclaimer at the end. Those of us who know you, know where your heart is...this book in NO WAY makes it look like you side with slavery. That being said....I cannot wait for book number two! 221 days! I must know what happens to them next...sighs...oh well, I can wait, I guess. I still say that this cover is gorgeous and I truly hope you win that cover contest. The last time I checked, you were still in the lead! Huzzah! Hugs and God bless....see ye on the ship, Cap'n! Very interesting post MaryLu. I learned something new about the Civial War period. Thank you. I absolutely love the cover of your new book! we can all applaud their efforts, their sorrows, and their triumphs! There are moments where you have to be bold enough to change your stars, pick up your petticoats, and dare to believe that what is around the corner is better than what you left behind!! Thank you for this bookaway! The Civil War era used to be my favorite to research until I became fascinated with the Revolutionary War. What you've found in the Confederados, though, is amazing. I've lived my entire life in what was termed "the hot bed of secession" and I had heard of the Southerners moving to Texas, Mexico, California, and Canada, but never about Brazil. 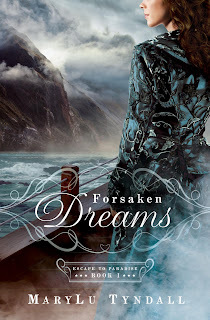 Can't wait to read Forsaken Dreams. Thank you for this post, MaryLu....very interesting! I love the cover on your new book and can't wait to read it. This is so interesting and I want to read this series, I would not be surprised to see this happening again with the way the country is so messed up right now. thanks for writing this story. This is one reason I so like reading Christian historical fiction. We learn about aspects of history we didn't know about because authors such as you research thoroughly and make these historical periods come alive again. I'm really looking forward to reading this series. Thanks for all the background info as well. Good morning, ladies!! Well, at least it's still morning here in California! I'm heading off to church but wanted to thank you all for your comments! I, too, though this history was so interesting and how odd that it isn't mentioned in any history books! Perhaps the fact that so many people left was an embarrassment to the country. Several of the events in this book were taken from an actual voyage to Brazil.. one that had quite a few mishaps as well! But if these colonists thought the trip was wrought with danger, wait till they get to Brazil!! On a side note, I recently heard that the country of Belize was putting commercials on our TV stations, inviting Americans to come and settle there. I guess that means that things are getting pretty bad here. :-( How odd that history always repeats itself!! Wow...what a post..I'm with the others who have voiced their opinion that it was very interesting. I learned things I had never heard before. Thanks for this! Wow, so interesting...love the perspective and all the info. Very interesting indeed! Thank you for sharing. Great post and very interesting. Thank you Captain. I really enjoyed this post and the historic information. It is so fascinating and gives me points to ponder. This really helps set the scene for Forsaken Dreams and gives more depth and insight into each of the characters. The book is wonderful. The reader becomes a part of each character as soon as the story begins. As is true with all of Marylu's books, it is difficult to put down. The reader almost faces a separation anxiety when the story ends because one doesn't want to leave the relationship formed with the characters as the story unfolds. This book is a must to any christian historical romance reader. The best of the best!! I learned so much, great post. I look forward to reading Forsaken Dreams. Please include me in the drawing. Thanks! I had no idea about the Southerners who fled the US after the war, although it makes sense once you start to think about it. Being Yankee born and bred, I only have a vague remembrance of learning about Reconstruction during high school history. I don'g think it was taught very in depth, which is sad. Not until I was a grown adult reading Gone with the Wind did the horrors of that time period really sink in. It's so tragic to me how we treated our fellow countrymen. But then, slavery was tragic too. Sometimes it's just plain hard to find good and right considering all the terrible ways we treated each other. That is very interesting about the southern people fleeing to Brazil. I had never heard that before. I can't wait to read this book! It looks and sounds so good! MaryLu very interesting post on the history of the immigrants to Brazil . I enjoyed it .You know I did not think much about this till I read book one of Forsaken Dreams. This is an awesome book and the characters were so alive in this book . You can't wait to turn the next page. I am ready to read book 2 of your series.Thank you. Thanks for even more historical information. This has been a fabulous month - I have learned so much. Forsaken Dreams was wonderful and I look forward to the next one :) I agree, this is the prettiest cover! This sounds like an interesting series. I did not realize that many fled to Brazil. There is no need for a disclaimer. I have read books from the southern perspective before and there were no disclaimers with those books. You are right. The Civil War fascinates me and is my favorite historical fiction genre. I would love to win. I'm with Chaplain Debbie - it really is discouraging to see your disclaimer, because it says something sad about us readers. Your books are wonderful, and I'm looking forward to this new one. Wow that was a lot of information! I enjoyed this post and cannot wait to read your new book! Thanks again for sharing MaryLu. Even though no claim to being a history-buff, I have enjoyed reading the history of the North and the South, Civil War era. I find it most interesting that many fled to the land of Brazil ... which I did not know about, until reading your newest novel. I enjoyed "Forsaken Dreams" thoroughly !!! One of your very best !!! I appreciate the chance to win ... would love to win a kindle (cannot believe how many books can be down-loaded onto kindle). Anyway, thank-you for the opportunity. I am Southern born and Southern bred so I can't wait to read MaryLu's newest book. The War between the States should never have happened but since it did we should learn from it and pray that it will never happen again. Loved it. Just finished it early this morning and posted my review. Brava, MaryLu. This era had so much turmoil and discontent. I love to read historical fiction to help me understand. Thank you for working so hard to keep the stories alive. This was very interesting MaryLu. I can't even imagine a trip like that. And, going to a whole different country. Would be a bit scary for me. I sure do need to win this book of yours. I have tried so many times. I can't believe I had never heard of the people going to Brazil. So learned another bit of our history. I'm afraid someday the younger generations won't even know our true History. For they are already changing a lot of it in our school books. That's one reason our children need to be taught when young how things really were. I read this one already and really liked. It made me think about how Southerners felt after the war. So very interesting! Can't imagine leaving my country of birth like that. While working on my family history, I have not discovered any relatives involved in the Civil War. I have been to Gettysburg twice, and was extremely hard to view everything. Lots of good information, would love to visit Brazil. Your series sounds wonderful. I have added it to my TBE list. I think it would take a strong willed person with conviction to leave their home country and start out on a journey to a new place. Belize? Hmmmm....:) I agree - how come we didn't learn any of this in school? I will make sure my children learn it. Thanks for all the info, MaryLu! Cool post, MaryLu! I love the girls' dress in the picture. So interesting - this is new info to me. Devastating to those involved, but as much as I love to see new places - I probably wouldn't have had as much adjustment to make as some people, as long as my family was with me. The dangers of the journey there would have been an even worse problem for me. Enjoy reading about the Civil War -just glad I didn't have to live through it! Thanks for the opportunity to win a copy of your book & learn more about this! What would make me abandon the country of my birth? I think I could only think of abandon the country of my birth if the North treated me extremely badly or other reasons like what happened with those who left United States. Very interesting article. It's sad that even after the war the fighting perspective was still foremost in peoples' hearts.Thanks for the post and for having the giveaway. Fascinating post, MaryLu. I've never heard before of Southerners who left the US to travel to Brazil. 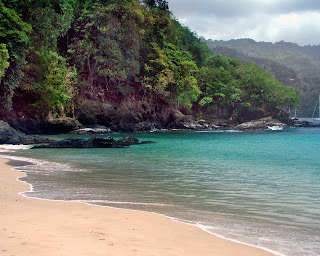 The coastal picture is beautiful. I can see the draw. Can't wait to read your book! It's next on my list. Brother fighting against brother is always a sad thing, and has devastating effects. There was right and wrong on both sides in the Civil War, and it is a blessing of God, as you said, that this country was ever brought together again. Though, we still do today see the long-lasting aftereffects of the division. I, myself, though a lifetime Northerner, have ties to the south. Many multiple greats back, my uncle was the Confederate president, Jefferson Davis. My grandmother on my mother's side was a Davis. He was known in the family as a good man who never wanted the position he held, but felt someone had to represent the South, and he was elected to do it. That was very fascinating about the Confederates who fled to Brazil. I never knew that! History is so interesting! very late posting. I didn't know anything about the confederates fleeing to Brazil until I read your book but am so happy to have learnt about this. I loved the book and not sure how I will wait till the next one is out. thanks for the history lesson.